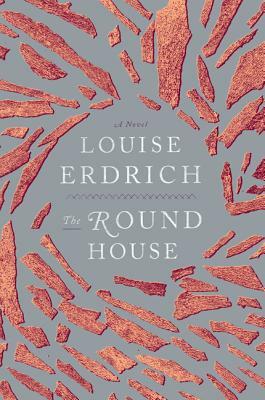 The Round House won the National Book Award for fiction. One of the most revered novelists of our time—a brilliant chronicler of Native-American life—Louise Erdrich returns to the territory of her bestselling, Pulitzer Prize finalist The Plague of Doves with The Round House, transporting readers to the Ojibwe reservation in North Dakota. It is an exquisitely told story of a boy on the cusp of manhood who seeks justice and understanding in the wake of a terrible crime that upends and forever transforms his family. Riveting and suspenseful, arguably the most accessible novel to date from the creator of Love Medicine, The Beet Queen, and The Bingo Palace, Erdrich’s The Round House is a page-turning masterpiece of literary fiction—at once a powerful coming-of-age story, a mystery, and a tender, moving novel of family, history, and culture. Louise Erdrich is the author of fifteen novels as well as volumes of poetry, children’s books, short stories, and a memoir of early motherhood. Her novel The Round House won the National Book Award for Fiction. The Plague of Doves won the Anisfield-Wolf Book Award and was a finalist for the Pulitzer Prize, and her debut novel, Love Medicine, was the winner of the National Book Critics Circle Award. Erdrich has received the Library of Congress Prize in American Fiction, the prestigious PEN/Saul Bellow Award for Achievement in American Fiction, and the Dayton Literary Peace Prize. She lives in Minnesota with her daughters and is the owner of Birchbark Books, a small independent bookstore. — O, the Oprah Magazine, "Our Favorite Reads of 2012"
The Round House opens with the sentence: "Small trees had attacked my parents' house at the foundation." How do these words relate to the complete story that unfolds? Though he is older as he narrates the story, Joe is just thirteen when the novel opens. What is the significance of his age? How does that impact the events that occur and his actions and reactions? Describe Joe's family, and his relationship with his parents. In talking about his parents, Joe says, "I saw myself as different, though I didn't know how yet." Why, at thirteen, did he think this? Do you think the grown-up Joe narrating the story still believes this? Joe's whole family is rocked by the attack on his mother. How does it affect the relationship between his mother and father, and between him and his mother? Does it alter Joe's view of them? Can trauma force a child to grow up "overnight"? What impact does it have on Joe? How does it transform his family? "My mother's job was to know everybody's secrets," Joe tells us. How does this knowledge empower Geraldine and how does it make her life more difficult? Joe is inseparable from his three friends, especially his best friend, Cappy. Talk about their bond. How does their closeness influence unfolding events? What is the significance of The Round House? What is the importance of the Obijwe legends that are scattered through the novel? How do they reflect and deepen the main story? What can we learn from the old ways of people like the Ojibwe? Is Joe proud of his heritage? Discuss the connection between the natural and animal world and the tribe's spirituality. After the attack, Joe's mother, Geraldine, isn't sure exactly where it happened, whether it was technically on Reservation land or not. How does the legal relationship between the U.S. and the Ojibwe complicate the investigation? Why can't she lie to make it easier? Secondary characters, including Mooshum, Linda Wishkob, Sonja, Whitey, Clemence, and Father Travis, play indelible roles in the central story. Talk about their interactions with Joe and his friends and parents. What do their stories tell about the wider world of the reservation and about relations between white and Native Americans? Towards the novel's climax, Father Travis tells Joe, "in order to purify yourself, you have to understand yourself. Everything out in the world is also in you. Good, bad, evil, perfection, death, everything. So we study our souls." Would you say this is a good characterization of humanity? How is each of these things visible in Joe's personality? He also tells Joe about the different types of evil—the material version, which we cannot control, and the moral one, which is harm deliberately caused by humans. How does this knowledge influence Joe? When Joe makes his fateful decision concerning his mother's attacker, he says it is about justice, not vengeance. What do you think? How does that decision change him? Why doesn't he share the information he has with the people who love him? What do you think about the status of Native Americans? Should we have reservations in modern America? How does the Reservation preserve their heritage and culture and how does it set them apart from their fellow Americans? Could the American West have been settled without the conflicts between white Europeans and native peoples? Do you think we, as Americans, have changed significantly today? We hear a great deal about reparations and atonement for slavery. What about America's history with the Native American population—should these same issues be raised? Racism is often seen in terms of black and white. How does this view impact prejudices against others who aren't white, including people like the Ojibwe? Do you think there is prejudice against Native Americans? How is this portrayed in the book? Contrast these with examples of kindness and fairness. "My father remembered that of course an Ojibwe person's clan meant everything at one time, and no one didn't have a clan; thus, you know your place in the world and your relationship to all other beings." How has modernity—and westward expansion—transformed this? Has our rush to the future, and our restless need to move, impacted us as a society and as individuals? Race, politics, injustice, religion, superstition, magic, and the boundary between childhood and adulthood are explored in The Round House. Choose a theme or two and trace how it is demonstrated in a character's life throughout the novel. The only thing that God can do, and does all the time, is to draw good from any evil situation," the priest advised Joe. What good does Joe—and also his family—draw from the events of the summer? What life lessons did Joe learn that summer of 1988?